All those interested in our Prayer Shawl Ministry are invited to gather the 1st Thursday of each month in the Youth Room from 6:00pm – 8:00pm. 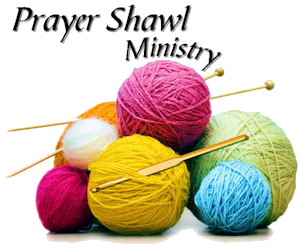 As we gather we knit or crochet the shawls we’ve been working on, enjoy each other’s fellowship, pray for those who will receive our shawls, and bless the shawls that have been completed during the month. As we knit/crochet a shawl, it may be for a specific person or for those we keep on hand to give out to someone who is suffering in any way or to someone who might be celebrating the birth of a child.